Sunshine and clouds mixed. High 88F. Winds SSW at 5 to 10 mph..
SEBRING — The race is on for The School Board of Highlands County to try to fill all the anticipated teaching vacancies for the 2019-20 school year. The district’s website is filled with job descriptions/openings for teachers from a kindergarten teacher at the Kindergarten Learning Center to an Earth/space science teacher at Avon Park High School. Human Resources Manager Jodi Lee said the district started advertising April 10 to fill next year’s positions. “As we receive the requests from the schools then we are putting them up,” on the district’s website, she said. Currently there are 40 teacher positions being advertised, Lee said. There have been two out-of-state teacher recruitment trips thus far and one underway now, she said. Lake Placid High Principal Kevin Tunning and Lake Country Elementary Principal Shane Ward took a recruitment trip March 31 to April 4 to Ohio. Memorial Elementary Principal Courtney Floyd and Lake Placid Middle Principal Jennifer Sanchez went to Indiana University College Career Center to find teachers April 10-12. Deputy Superintendent Andrew Lethbridge and Woodlawn Elementary Principal Jon Spencer will return Thursday from Indiana. Indiana spread their teacher job fairs over a two-week period that is why the district sent two teams there, Lee said. Those areas are very saturated with very strong colleges and there are more education graduates than jobs, which has been the case for decades. Last July during the new teacher orientation, the district was still looking to fill 63 open teacher positions for the 2018-19 school year. Open positions that are not filled by a full-time teacher will be filled temporarily by a long-term substitute. Also, eight have applied thus far for the readvertisement of the position of assistant superintendent of secondary programs, which has a closing date of April 30. The position initially had seven applicants with only one from within the school district. Five of the applicants were interviewed for the position, but Superintendent Brenda Longshore decided to re-advertise the position. 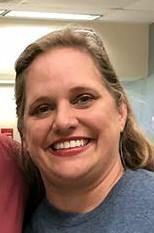 Jennifer Cornell, a reading coach at Avon Park Middle School, has been selected by Longshore to be the assistant principal at Lake Placid Middle School starting in the 2019-20 school year as Willie Hills departs from the position to become the district’s transportation director. Why does the Highlands County School District have such a hard time filling teaching positions?